The enclosed fee sched­ule details the ser­vices offered by Lo Schi­a­vo Genealog­i­ca in rela­tion to onsite Ital­ian dual cit­i­zen­ship appli­ca­tions. The fee for pre­sent­ing your onsite appli­ca­tion is as fol­lows and includes those ser­vices detailed below. This ser­vice assumes all rel­e­vant doc­u­ments, apos­tilles, trans­la­tions and cer­ti­fi­ca­tions are com­plete and in hand. Sub­se­quent to the fil­ing of the appli­ca­tion, Lo Schi­a­vo Genealog­i­ca will make bi-week­ly sta­tus checks on the non-renun­cia requests that are required to be sent to all applic­a­ble con­sulates accord­ing to Ital­ian nation­al­i­ty law. These sta­tus checks will begin, 10 busi­ness days after the com­ple­tion of the ini­tial 10 busi­ness days onsite. The client shall be informed of the results of each sta­tus check by email. It is the client’s respon­si­bil­i­ty to make sure that Lo Schi­a­vo Genealog­i­ca has a valid email address for them at all times. Lo Schi­a­vo Genealog­i­ca does not have con­trol of the tim­ing of the non-renun­cia respons­es (i.e. how long it takes for the con­sulates to respond). On aver­age, the requests are tak­ing any­where between 4 – 6 months. There­fore, Lo Schi­a­vo Genealog­i­ca can­not guar­an­tee com­ple­tion by any par­tic­u­lar date. Once the respons­es to your non-renun­cia checks have been received and they are neg­a­tive, Lo Schi­a­vo Genealog­i­ca will work with town offi­cials to have your appli­ca­tion signed by the May­or, your cer­tifi­cate of cit­i­zen­ship issued, and your doc­u­ments tran­scribed. It is not nec­es­sary to process your appli­ca­tion in your ancestor’s town of birth. Instead, your appli­ca­tion will be sub­mit­ted in north­ern Italy which is renowned for its more struc­tured busi­ness prac­tices, beau­ty, art and cui­sine. The towns in our Cit­i­zen­ship Net­work are con­ve­nient­ly locat­ed to major tourist areas, such as Venice, the Cinque Terre, Milan, and Flo­rence. Accom­mo­da­tions for up to four appli­cants (again for 90 days). All fees for the acqui­si­tion of doc­u­ments, apos­tilles, and translations/certifications. This means that there are no fees for out-of-pock­et expens­es. Onsite assis­tance acquir­ing your pass­port and carte iden­tità (Ital­ian iden­ti­fi­ca­tion card) sub­se­quent to your appli­ca­tion approval, plus any fees incurred to acquire these items. This includes 1–2 nights in a hotel or apart­ment. Assis­tance in arrang­ing one unique expe­ri­ence dur­ing your two week stay, whether it be a tour, lan­guage class, or anoth­er event of your choos­ing. Fees for said expe­ri­ence that are charged by oth­er companies/individuals are the Client’s respon­si­bil­i­ty. One din­ner or lunch at a restau­rant in or near your town of appli­ca­tion. Said restau­rant will fea­ture typ­i­cal cui­sine of the region. Please note that trans­porta­tion, food, and oth­er inci­den­tals are not includ­ed. Attor­ney and court fees, if nec­es­sary to amend doc­u­ments or acquire adop­tion paper­work (if applic­a­ble), are also not includ­ed. Enjoy “la dolce vita” while Lo Schi­a­vo Genealog­i­ca does all the work for you!!! FEE: Please email for quote. This pack­age includes all ser­vices pro­vid­ed under the Cit­tad­i­nan­za Espres­so and Doc­u­ment Prepa­ra­tion pack­ages, as well as the five addi­tion­al ser­vices detailed above. What a great way to make your cit­i­zen­ship process as stress-free and enjoy­able as pos­si­ble! The doc­u­ment prepa­ra­tion pack­age enables you to sit back and relax while we han­dle every­thing nec­es­sary to get your doc­u­men­ta­tion ready. This is a pop­u­lar option for the busy pro­fes­sion­al who has lit­tle time to work on their doc­u­men­ta­tion! The fee for the doc­u­ment prepa­ra­tion pack­age does not include out-of-pock­et fees, which can include, but is not lim­it­ed to, doc­u­ment fees and apos­tille fees. Clients will be invoiced for any out-of-pock­et fees once per month. Client agrees to pay such fees with­in 15 days of the receipt of the invoice. In the ini­tial stages of the doc­u­ment prepa­ra­tion, please be aware that month­ly expens­es are nor­mal­ly high­er. Depend­ing on the juris­dic­tion which issues your doc­u­ments, your sig­na­ture may be need­ed on doc­u­ment appli­ca­tions or on a lim­it­ed pow­er of attor­ney, autho­riz­ing us to order doc­u­ments on your behalf. If it is deter­mined that a doc­u­ment needs to be amend­ed so that your cit­i­zen­ship appli­ca­tion is suc­cess­ful (and legal assis­tance is required), then any legal and court fees are the Client’s respon­si­bil­i­ty. If a doc­u­ment is need­ed from a coun­try oth­er than Italy or the U.S., it may be nec­es­sary to sub­con­tract a local researcher to acquire the doc­u­ment. The fees for said sub­con­tract­ing would be the Client’s respon­si­bil­i­ty. If this is nec­es­sary, the Client shall be informed ahead of time. The base fee for doc­u­ment prepa­ra­tion is due upfront. If, dur­ing the course of gath­er­ing your doc­u­men­ta­tion, it is deter­mined that you are not eli­gi­ble for Ital­ian dual cit­i­zen­ship then the fol­low­ing would apply. The time incurred (at $95 per hour) would be cal­cu­lat­ed and any remain­ing amount would be refund­ed to the Client with­in 30 days. This pack­age includes unlim­it­ed assistance/advice by email or tele­phone while you work to pre­pare the doc­u­men­ta­tion for your cit­i­zen­ship appli­ca­tion (for a max­i­mum time of two years). This is a pop­u­lar option for the DIYr!!! All out-of-pock­et expens­es (such as doc­u­ment fees, apos­tille fees, and translation/certification fees) will be incurred by and paid by the client. If it is deter­mined that a doc­u­ment needs to be amend­ed so that your cit­i­zen­ship appli­ca­tion will be suc­cess­ful (and legal assis­tance is required), then the legal and court fees are the client’s respon­si­bil­i­ty. If the Client begins with this pack­age and decides lat­er that he/she wants to switch to the full Doc­u­ment Prepa­ra­tion Pack­age, they can do so. In that instance, the Client would be respon­si­ble to pay an addi­tion­al $1,500 at the time of the request­ed change. Addi­tion­al­ly, they would be required to pay the final half of the ini­tial $2,500 (mean­ing an addi­tion­al $1250) at the same time. 50% of the base fee for doc­u­ment prepa­ra­tion assis­tance is due upfront. The remain­ing 50% is due one month before your onsite appli­ca­tion begins. $750 per extra appli­cant who applies at the same time and in the same town in Italy. This fee includes larg­er accom­mo­da­tions (the size at the Provider’s dis­cre­tion) and the pro­cess­ing of the addi­tion­al appli­ca­tions. The expens­es incurred dur­ing the acqui­si­tion of the addi­tion­al doc­u­men­ta­tion would be invoiced month­ly at our stan­dard hourly rate of $95 plus expens­es. This ser­vice includes help­ing you apply for your Ital­ian pass­port and carte d’identità in Italy with­in the province of appli­ca­tion. Client is respon­si­ble for any fees charged by the applic­a­ble offices which include, but are not lim­it­ed to, fees for pass­port (approx. 180 euros) or carte d’identità (approx. 10 euros). Our fee includes only the time and petrol nec­es­sary to help you acquire these two items. It does not include hous­ing or any oth­er expens­es, unless arranged ahead of time and at addi­tion­al cost. The approval of your cit­i­zen­ship appli­ca­tion must be com­plete before these two items can be applied for. The pass­port will be sent to us and for­ward­ed on to you by DHL. The carte d’identità can usu­al­ly be received the same day. How­ev­er, please note that Italy is evolv­ing this process there­fore changes should be expect­ed. The accom­mo­da­tions shall con­sist of one dou­ble or queen-sized bed for a max­i­mum of two peo­ple, a kitchen, a portable wifi (for 10 busi­ness days), and a clothes wash­er. The appli­cant may bring one oth­er per­son with them who will be allowed to stay in the pro­vid­ed accom­mo­da­tions. Please be aware that it is rare for apart­ments in Italy to have a clothes dry­er. There­fore, the Client agrees that they will need to hang their laun­dry to dry for the dura­tion of their stay or trans­port it to a near­by laun­dro­mat for dry­ing. Most apart­ments will pro­vide a dry­ing rack or out­side clothes­lines. If not, dry­ing racks are avail­able at local stores at min­i­mal cost. If you have spe­cial needs for your accom­mo­da­tions, please let us know at the begin­ning of your project so that we can plan accord­ing­ly. Spe­cial needs are defined as: mobil­i­ty issues, phys­i­cal hand­i­caps, sep­a­rate bed­rooms need­ed for each per­son, and the need for infant bed/child-proof­ing. Lo Schi­a­vo Genealog­i­ca will do its best to accom­mo­date all spe­cial needs but does not guar­an­tee that requests can be met with­out addi­tion­al costs. Ele­va­tors are not com­mon in Italy. There­fore, if you have mobil­i­ty issues, it is very impor­tant to let us know this before we assign your accom­mo­da­tions. Lo Schi­a­vo Genealog­i­ca high­ly encour­ages you to rent a car. Many of the small towns in Italy have lim­it­ed pub­lic trans­porta­tion and your trip will be much more enjoy­able, if you have the means to move about eas­i­er. The Client is respon­si­ble for all trans­porta­tion costs and arrange­ments. Please review the fol­low­ing items care­ful­ly and ask us, if you have any ques­tions. We’d be hap­py to answer your ques­tions at any time! When doing busi­ness in Italy, please under­stand that they do not move on the same timetable that is con­sid­ered stan­dard in the Amer­i­can busi­ness world, due to the unique nature of the Ital­ian cul­ture. 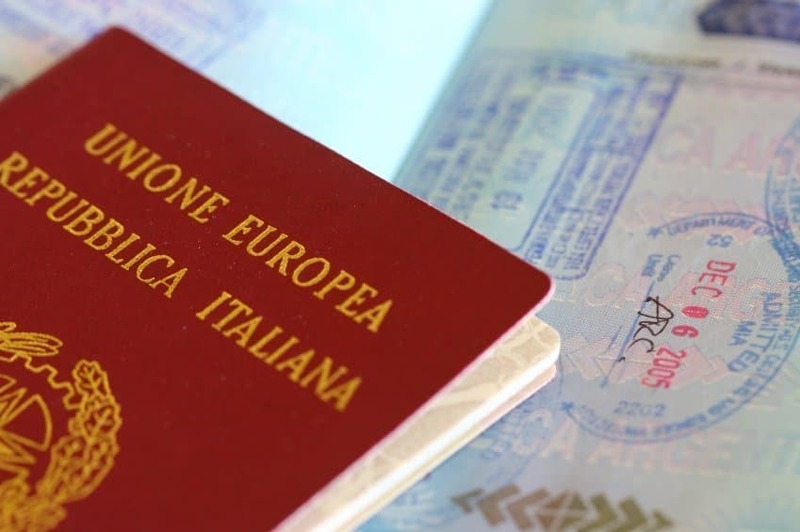 Although Lo Schi­a­vo Genealog­i­ca will have all ini­tial appoint­ments made before you arrive in Italy, flex­i­bil­i­ty is a neces­si­ty, as appoint­ments are com­mon­ly resched­uled depend­ing on the avail­abil­i­ty of munic­i­pal staff. With the sign­ing of the required con­tract, the Client is agree­ing to be flex­i­ble and patient dur­ing the cit­i­zen­ship process. Italy cel­e­brates many hol­i­days and there­fore Lo Schi­a­vo Genealog­i­ca can­not guar­an­tee that an appli­ca­tion can be processed around these time peri­ods. For exam­ple, busi­ness is not con­duct­ed the weeks before and after East­er, the whole month of August, and from 15 Decem­ber — 8 Jan­u­ary [approx­i­mate­ly]. Please email us (at Melanie@holtzresearch.com) if you have any ques­tions and/or would like our gen­er­al appli­ca­tion pro­ce­dures doc­u­ment. We would be hap­py to answer your ques­tions at any time! Is this the earliest Leonardo Da Vinci Work?